Which laptop charger should I buy? I need to buy a new laptop charger as I don't have one. Which hp charger is compatible with my laptop? Can I buy any hp charger and know that will work? 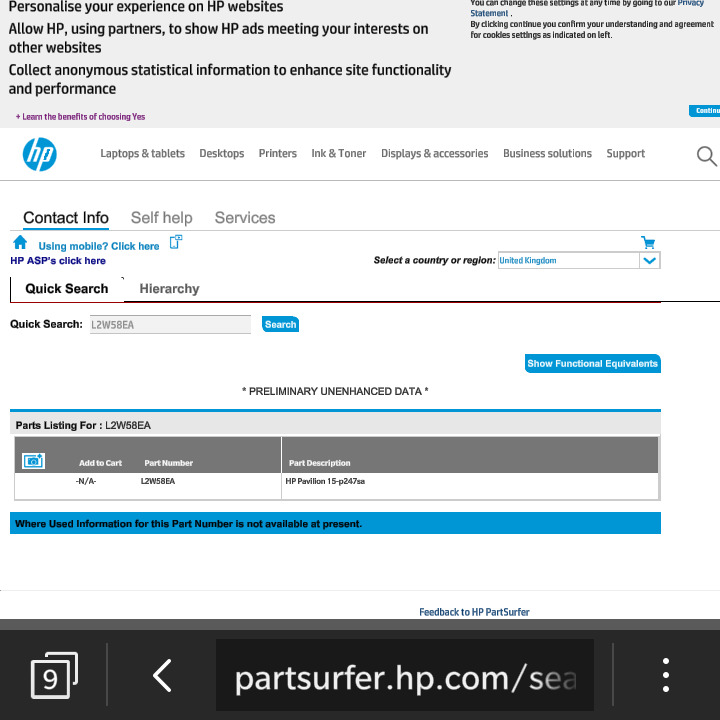 HP would recommend you to use the Hp spare parts . You can find the spare part for this unit from the HP part surfer . I am an HP employee!! You would need to run the PC off a 65W Smart HP AC adapter. I tried to use partfinder to find the adapter so I can buy it, and no parts come up. It says "Where Used Information for this Part Number is not available at present." My previous charger broke as it kept sparking after two years of use, so I now understand the need to use genuine HP adapters. If you still have the OLD AC adapter, you can get the part number off it. It listed as P/N number and is usually writtern close to the HP logo on the back label. I can't buy any adapter for my laptop from partmaster. Partmaster does not even tell me which adapter I compatible with my laptop. Please help.